The soft sound of a gentle splash. Then another. Then “puuf,” a noisy exhalation. Splash, splash, puuf. Splash, splash, puuf. Close to the boat. It was dark and I was already in my bunk. I got up to see what was out there – nothing, just black. 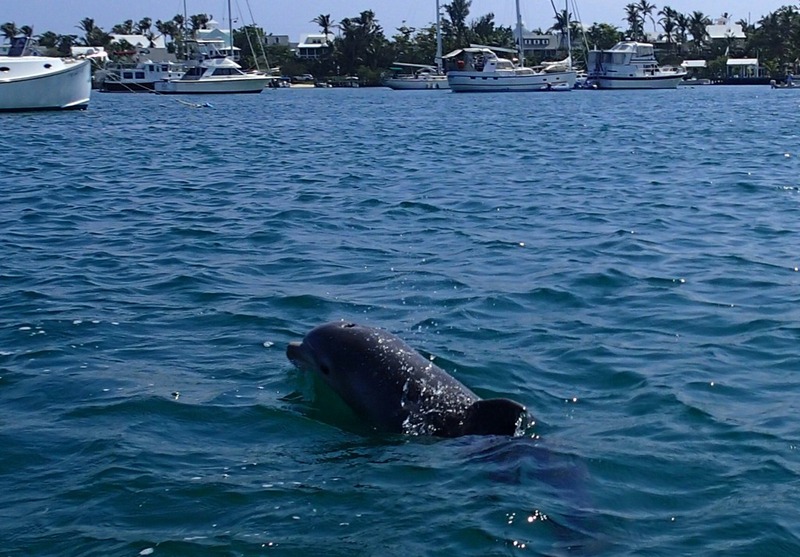 The next day we heard that dolphins were in the harbor – the source of the splashes and “puufs” in the night. 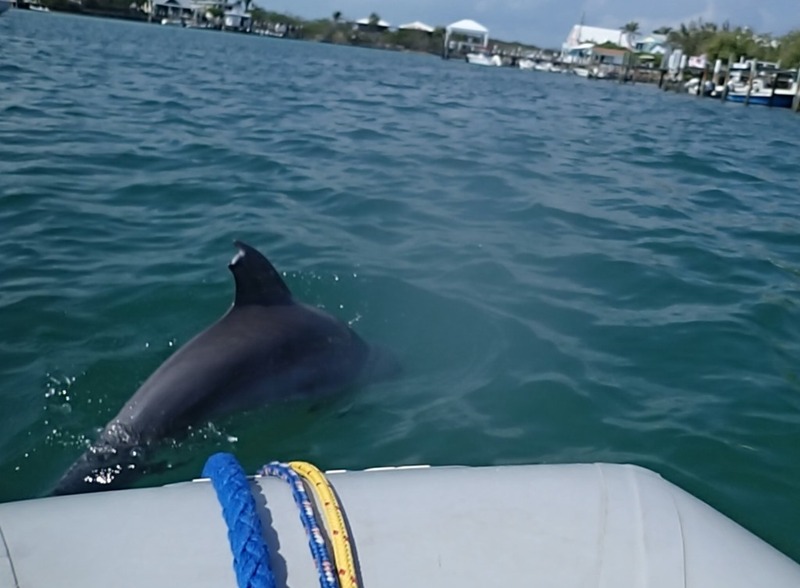 So we got in the dinghy and watched the dolphins put on a show. One was adult size and one was smaller. We drifted across the harbor as they played around us. 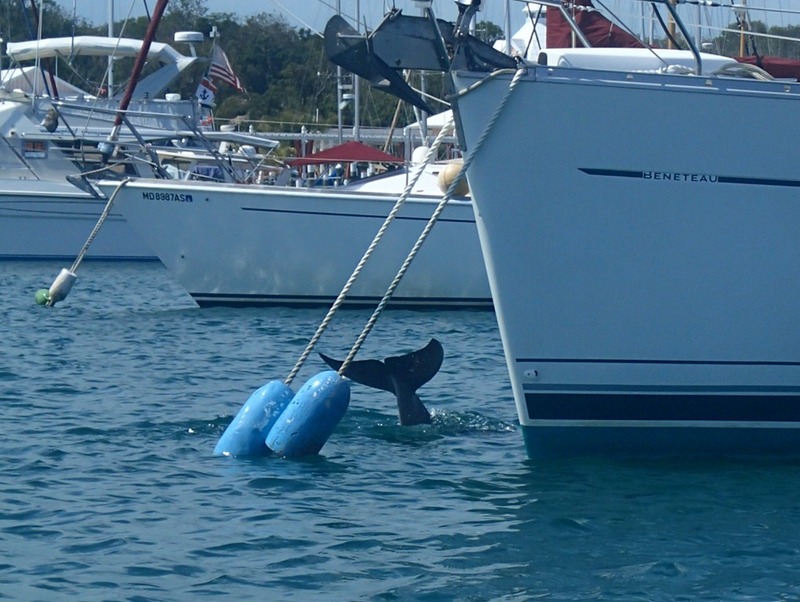 We tried to keep our distance, but sometimes they came up and swam just below or just beside the dinghy. They had fun in amongst the moored boats. We followed in the dinghy as they swam out of the harbor. 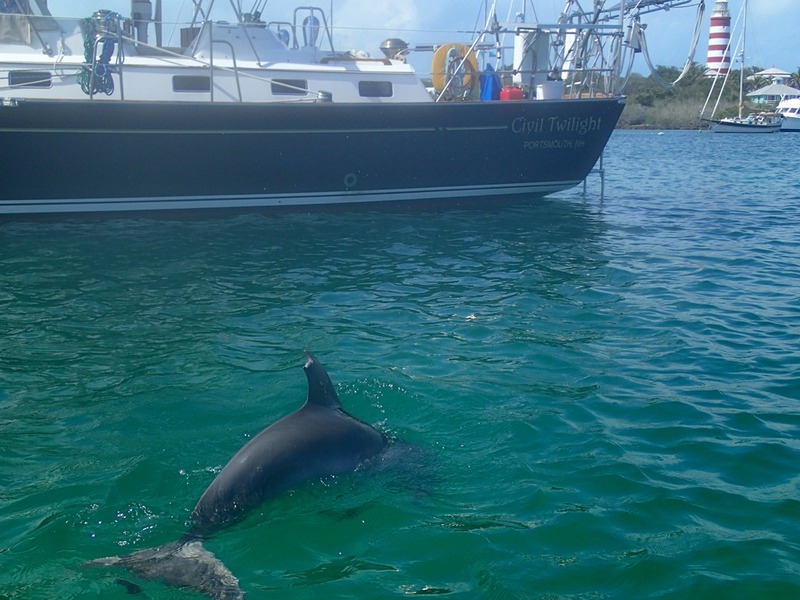 Just before the harbor entrance, the little one came back to swim around the dinghy again. 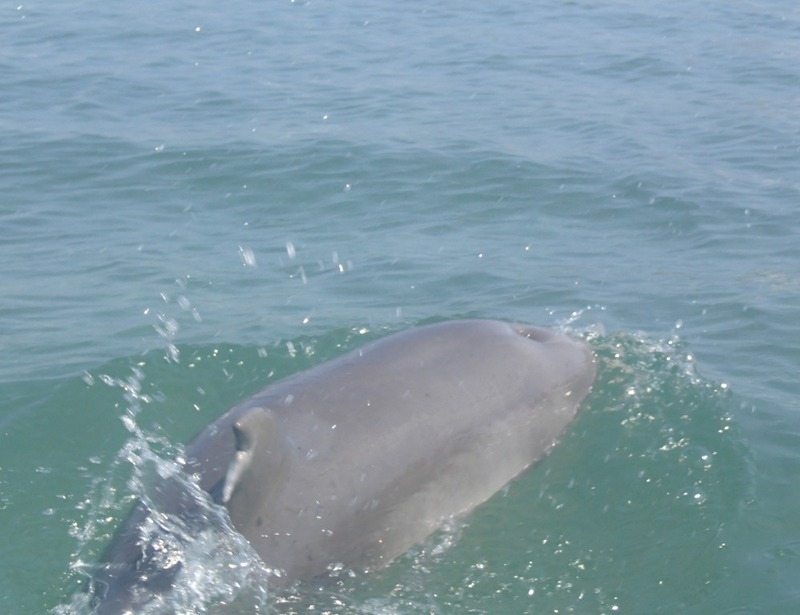 She came up right in front of us, surfaced, and then – SMACK went her tail – and BLOOSH came the water. She SPLASHED us!!! Got me good – me and my clothes and the camera all got pretty wet. We laughed and laughed. All dolphins are “she?” Interesting. Dolphins!!! I want to be splashed by a dolphin too. WOW! so cool! what an experience to see them so close and interact with them.